The Southern Adventures Challenge Course Program is designed to allow on and off-campus organizations the opportunity to develop functional skills that aid in their leadership development. We provide groups the ability to work with our Challenge Course staff to design a custom program that will meet their developmental needs. See the Program Descriptions tab below for an in-depth explanation of our various program offerings. All of our programs can be mixed and matched to tailor fit the goals of your specific group. In addition to our custom Challenge Course offerings, we hold an Open High Ropes Challenge Course to open to all Georgia Southern students every semester. Check the CRI calendar to find out when the next Open High event is! Registration is limited. Please call us at 912-478-7227 or stop by the Southern Adventures Center during our normal business hours to pre-register. Day of walk-ins are accepted only if there are spots available. Please read before filling out a reservation request. For any questions, please contact Kristy Elliott at Kristy-Elliot@georgiasouthern.edu. All program reservations must be made via the form below at least 2 weeks prior to desired program date. There must be a minimum of 10 participants. Special exceptions will be considered on a case-by- case basis if the group indicates that there will be less than 10 participants on their reservation form. The person who makes the reservation (group leader) must be present on the day of the course. If, for an unexpected circumstance, the group leader cannot attend on the day of the course, they must contact Southern Adventures before programming to appoint a new leader and give contact information. The group must arrive in the Southern Adventures Center on time. Your confirmation email details what time we expect ALL of your participants to be present. It’s a good idea to instruct your group to arrive 15 minutes prior to the start of programming. There will be a 10-minute grace period after which no one will be admitted to participate in programming. Programs will be canceled if less than 10 participants haven’t arrived by 10 minutes past the program time. Late participants will not be allowed to participate in programming. If you find out group members will be late to programming, the group leader must contact Southern Adventures to request a program time change at least 2 days in advance. This is a request and we will do our best to accommodate your request. Example: you find out that 4 people won’t be able to attend a 12:00pm program until 12:30pm. You call Southern Adventures 2 days in advance to request that the time is changed to 12:30pm. Your reservation will be confirmed via an email to the address provided. If we are unavailable on the requested date(s) and time(s), we contact you regarding other dates/times. It is your responsibility as a group leader to ensure that your group understands and abides by the policies listed on the participants page. Please fill out the reservation form for a quote on programming costs. Please fill out all the following questions as we use this information to design a challenge course specifically for your group. Each group is different and we strive to meet the goals for each group based upon your requests. If you have any further questions please feel free to contact our offices by either email at Kristy-Elliot@georgiasouthern.edu or by phone at (912) 478-0676. We look forward to working with you and your group and thank you for your interest in our programming. Where is your group primarily located? 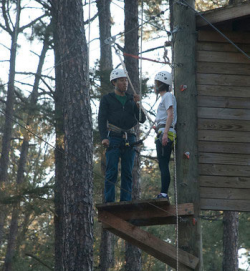 Are you able to travel to the Statesboro campus for your Challenge Course? *Please make sure the dates & times do not conflict. What goals do you have for your program? What else would you like us to know about your group? Please read the following information to prepare yourself for your upcoming course. Please see the Program Descriptions to educate yourself on the type of program you are participating in and then read the following policies. If you have any further questions please feel free to contact our offices by either email at Kristy-Elliot@georgiasouthern.edu or by phone at (912) 478-7227. We look forward to working with you and your group and thank you for your interest in our programming. Here at Southern Adventures, we like to practice “challenge by choice.” This means that you as an individual choose your level of participation, it is not chosen for you by facilitators or other group members. No one is ever forced to do something they are not comfortable doing, and most of our activities are easily modified to resolve individual problems, concerns, or physical limitations. All that we ask is that you be ready to give 100% because like with most things in life, you get out of them what you put in. On our challenge course, we try to foster an environment that encourages people to look for the strengths in others, instead of seeing their weaknesses. Our goal is to provide programming that is challenging, fun, and safe. Jewelry is not allowed during programming. This list includes, but is not limited to: necklaces, earrings, studs, nose rings, watches, and rings. We recommend not wearing jewelry to programming as you are responsible for storing it. Participants must wear closed toed athletic shoes. All footwear must have shoelaces. There should be absolutely no openings in the shoe. Anyone wearing the following will not be permitted to participate: lace-less boots, boat shoes, strapped sandals, slip-ons shoes, lace-less shoes, cowboy boots, and thin soled shoes. As it is hard to detail every possible shoe that is inappropriate, so we reserve the right to make a judgment call on whether your footwear is acceptable. It is recommended that you wear a running/or training type shoe. Clothing should be weather appropriate, so check the weather before you come out. Excessively short shorts and tank top type clothing are not allowed. In an effort to be environmentally friendly, please bring a re-fillable, reusable water bottle on the day of the programming. Anyone in possession or under the influence of drugs or alcohol during programming is in violation of the Georgia Southern Conduct Code and will be reported to the Georgia Southern University Office of Student Conduct. Smoking and tobacco use is not allowed on challenge course grounds. While we strive to create a fun atmosphere for participants, we expect all participants to pay attention, be actively involved, and ask questions while we are presenting safety rules and procedures. Note that safety is our ultimate priority and if we conclude that you or your group’s actions are affecting your safety, we reserve the right to cancel programming at any point. All groups will meet in the Southern Adventures Center in the back of the Recreation Activities Center (RAC). We have a small parking lot, which can be accessed by Old Register Rd. Georgia Southern students and staff: Please note that weekdays from 8am-3pm, parking will be unavailable for anyone without a current Georgia Southern parking pass anywhere at the RAC. The group leader is the person who makes the reservation, coordinates with the group, and relays necessary information to the group. Use this page as a resource to answer any questions you have. Please use the participants page to prepare your group for their upcoming challenge course. If you have any further questions please feel free to contact our offices by phone at (912) 478-5436. We look forward to working with you and your group and thank you for your interest in our programming. All required forms must be read, understood, and signed by participants. If a student is under the age of 18 years old, a parent/legal guardian must read, understand, and sign the required forms for the participant. These forms must be turned in before your challenge course. If you do not have the form you will not be allowed to participate in any activity offered by a Southern Adventures Staff (including spectating). There will be no exceptions given to anyone. As a group leader please make sure that you have all completed forms on the day of the course. On-campus participants that are only doing group development activities are not required to sign any form. High Ropes Informed Consent – This form is for any participant that is participating in a program that involves the High Ropes Challenge Course. This includes Combination Courses. CRI Standard Release – This form is for any participant (under the age of 18) participating in Southern Adventures programming. CRI Standard Minor Release – This form is for any participant (18 and older) participating in Southern Adventures programming. Challenge Course Informed Consent – This form is for any participant that is participating in a program that involves the High Ropes Challenge Course. This includes Combination Courses. Most low challenge course reservations have both indoor and outside space reserved, making a rain- out less likely. Reservations made with shorter notice or during peak RAC hours may not get an indoor rain-out location. In the case of not having indoor space available, programming will be canceled for rain, snow, wet conditions, thunder, lightning, and/or tornado. If your course is canceled due to weather, we will work to the best of our ability to reschedule. High challenge course programming will be canceled for rain, snow, wet conditions, thunder, lightning, and/or tornado. If your course is canceled due weather, we will work to the best of our ability to reschedule. If a group has to cancel, Southern Adventures should be contacted as soon as possible. 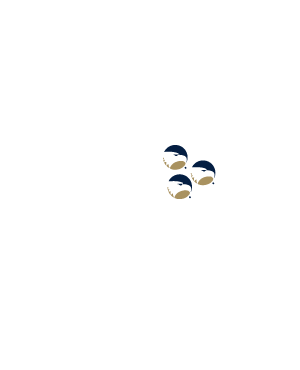 We understand that it can be difficult to get all of your group members to fully commit. We ask that if you become aware that your group can’t meet the participant minimum of 10, you contact us as soon as possible.